Hello everyone, a Boxster newbie here. 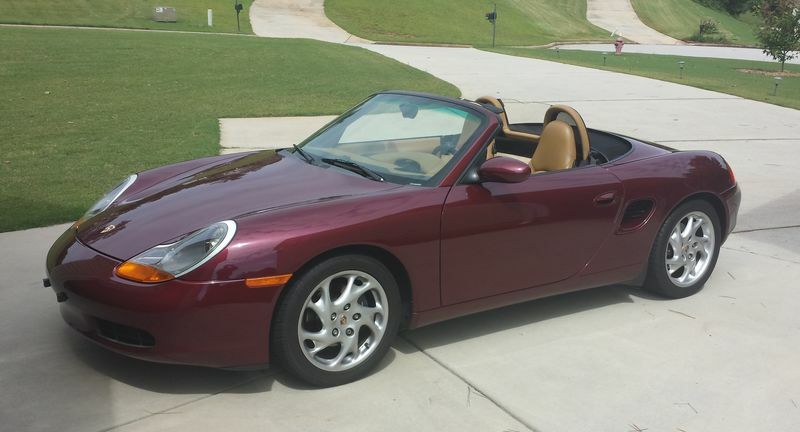 I just bought a 1999 Boxster in August that had just 26,500 miles. I got all of the maintenance records and the car was in immaculate condition. Since I bought it I have replaced all the tires (the back tires were dated 2007/front dated 2005). All had decent tread but to be sure I wanted to know that the tires were safe. I also replaced all brake rotors/pads/sensors. The ones on the car produced so much brake dust I had to wash the wheels after every use, and I wanted to be sure again that they were in a safe, roadworthy condition. Fortunately my son owns a couple of auto repair shops in L.A. so I can get parts at a reasonable price. After the purchase I changed the oil/filter, replaced the engine and cabin air filters and removed the front bumper and cleaned the radiator areas. Both had a significant amount of leaves/dirt so it was a good idea. I have already picked up some great tips on the forum and found it is very informative. Congratulations the car looks great! Great looking car Steve. I purchased a 986 early in 2017 but probably spent a year reading everything I could get my hands on about these cars. As you likely know, if you’re willing you can perform a lot of maintenance work yourself. But for the big jobs that may arise, it’s always good to find a knowledgeable independant Porsche shop. Enjoy!